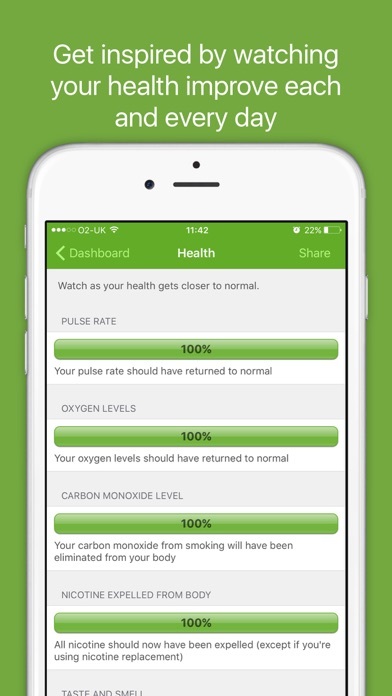 This App has helped me go from 1.5 packs of cigarettes a day to 10 cigarettes a day in less than a month! I'm still trying and new at this but it's so helpful and purchasing the full app was the better thing to do because the features are better. Good luck to everyone! 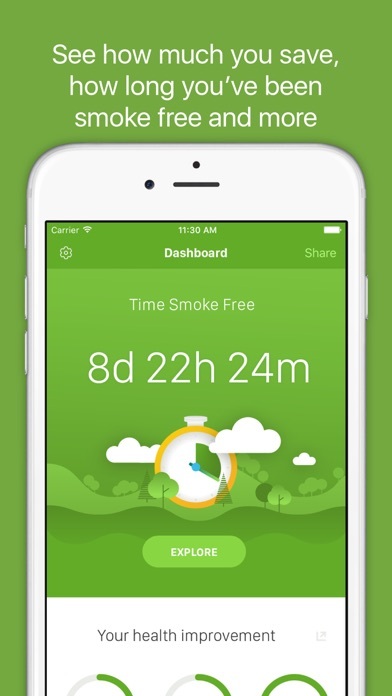 Idk why, but the subtle reminders and tips this app provided was all I really needed from changing my quit “attempts” (where I’m fighting off the urge to ask STRANGERS for a bum, or even a drag) into a quit attempt. Singular. I just hit 7days without a cigarette and I have little to no cravings anymore. The switch was like magic, and I can only tell you that this app at the very least, HELPS. I am only 7 days in, but there is totally a difference in this app compared with others I have tried. 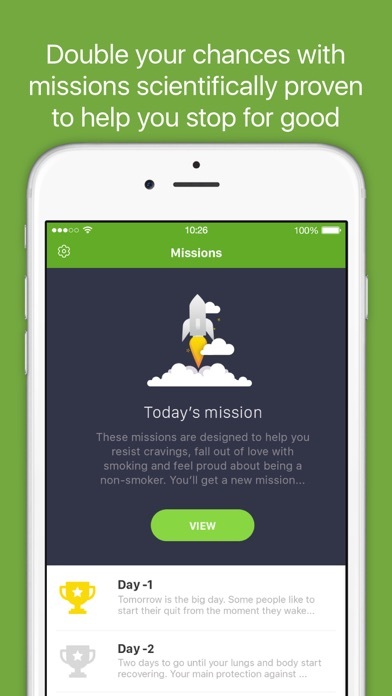 Do they daily missions, track your cravings, and use the quit coach to get this habit out of your life! 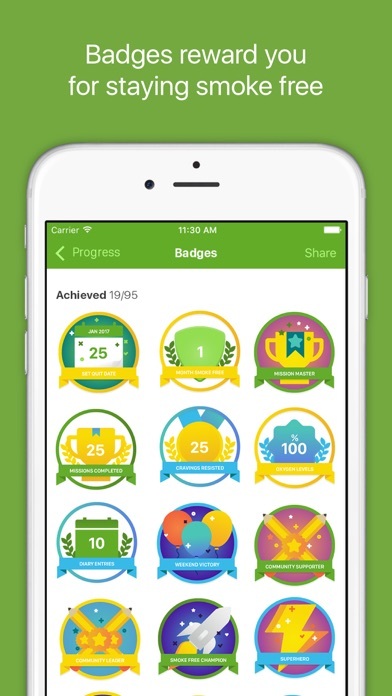 This app is helpful to keep track of your quit journey. 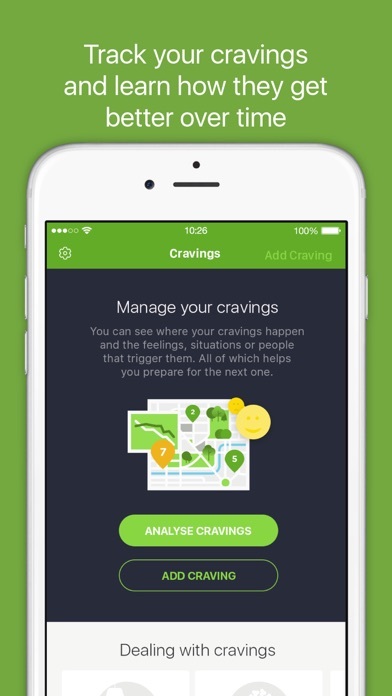 It also gives great tips to get through cravings.